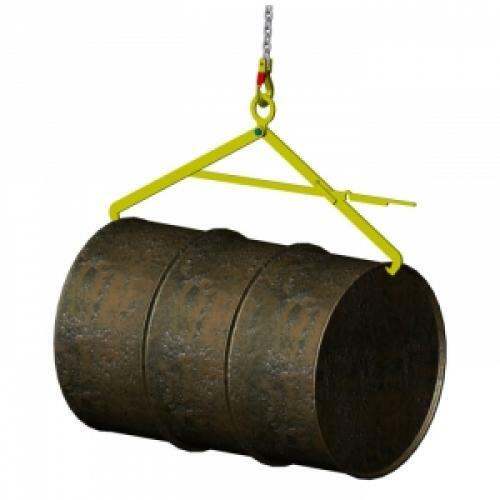 The DT500 is used when lifting and transporting drums in the horizontal position. To use the tongs you simply attach the jaws bellow the rolled edge on the barrel on both sides. When the barrel is ready to lift the weight of the barrel will keep the tongs in place. To release you simply place on the ground and push down on the little lever.